Razer announced today that Netflix will be supported in HDR and Dolby Digital Plus 5.1 on the Razer Phone. The Razer Phone now stands as the first smartphone to support both premium audio and video formats for Netflix. "We engineered the Razer Phone to handle HDR video and sound like no other phone on the market," says Min-Liang Tan, Razer co-founder and CEO. "We are incredibly excited to deliver Netflix entertainment on a smartphone like never before, enabling us to take full measure of the Razer Phone's HDR10-enabled display and dual-firing, front-facing Dolby-optimized speakers and THX-certified headphone connectivity." The Dolby Digital Plus 5.1 support on the Razer Phone is a first for Netflix on a mobile phone. The designation is typically reserved for high-end entertainment systems and PCs. 5.1 is the most commonly used layout in home cinema. It exploits five full-bandwidth channels (the "five") and one low-frequency effects channel (the "point one"). 5.1 is also the standard surround sound audio component of digital broadcast and music. 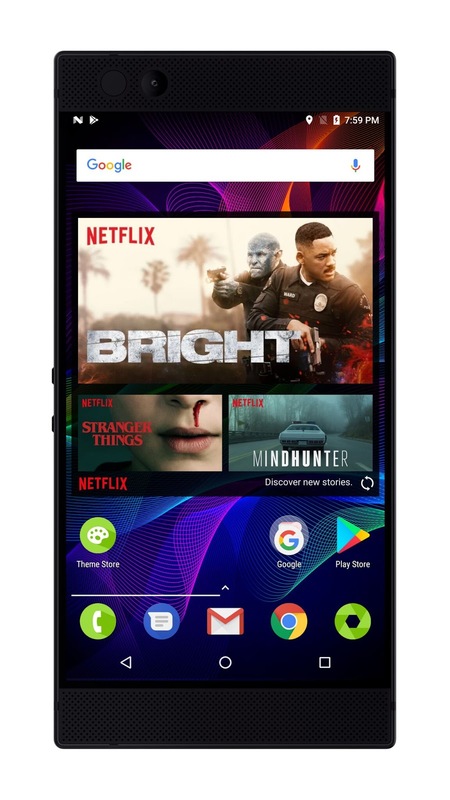 "The Razer Phone brings an incredible Netflix viewing experience to the smartphone," says Anthony Park, vice president of engineering at Netflix. "We look forward to delivering this experience to our members around the world so they can watch their favorite entertainment on the go in the best possible quality." Existing Razer Phone users will also benefit from the Netflix and Razer partnership with an over-the-air update later this month. This update will include the Netflix app and home screen widget for easy access, as well as firmware improvements to screen and sound to ensure a great Netflix experience. This update will come preloaded on all future Razer Phone releases. Netflix members must be subscribed to the premium plan to watch in HDR, which includes titles like "Bright," "Stranger Things 2" and the entire Marvel series.